Why do customers leave? It’s a simple question, with not-so-simple an answer. A McGraw Hill-commissioned study in the sixties tried to answer the question. They arrived at the following conclusion. One in 25 customers leave due to reasons beyond anyone’s control – die, re-locate, etc. Three in 25 shift to competition and another three in 25 switch brands because they are dissatisfied with the product or service. But a whopping 18 out of 25 leave because they don’t feel “loved”. They leave since we forget to remind them that they matter to us and we love them. Similar studies done by McGraw Hill another 30 years later, and by others over the past few years, have come to, more or less, the same conclusion – more than two-thirds of our customers leave because we don’t make them feel “special” or “loved”. So what can a business do to build unswerving customer loyalty? Here are a few things to try before starting to spend time, money and talent in the pursuit of new customers. There are at least four opportunities in a year to wish and make your customers feel special: New Year, Diwali, their birthdays and anniversaries. Try, it works! You are bound to receive some sincere “thank you” messages from the customers you wish. It’s a pity, despite living in a digital age, I receive less than five birthday messages a year. This, despite being a member of three airline frequent-flyer programmes, having four credit cards and banking with three different banks. Apart from these, I’m a member of at least 17 other loyalty programs. Am I an isolated case? When did you last ask your customers their feedback on your products or services? Research says that for every complaint a business receives, there are approximately 26 other customers with unresolved complaints or problems. That’s 26 times! More important, by letting customers share their complaints, you not only get to know about deficiencies in the system and a chance to set your house in order, but also turn a customer into a lifelong friend. Most businesses create their most-valuable customers from a successfully-resolved complaint. My recommendation: create a process that allows at least a small percentage of your customers to share feedback every month. Jet Airways has been doing this for years. Small wonder, you rarely catch them slipping up, or losing customers because customers feel uncared for.Here’s another example. Years ago, we did a customer-feedback exercise for an automobile company, involving all their customers who had purchased a car over a six-month period. A message was sent out from a senior manager stating, “if you have any problem, any, with your car that has remained unresolved, please tell me. I’ll have it resolved within 15 days”. Result: though only 6% of the customers responded, and even fewer reported unresolved problems, the car company ended up improving its rating in a JD Power survey by a couple of notches! Do your customers know you or anything about you beyond your products? Ignorance breeds distrust. I suggest you start sending all your customers a newsletter on regular basis. If you can’t manage one every month, do it at least once a quarter. Of course, most of them will not read it. But the small percentage that will, are clients who like you and your brand, and will feel reassured every time they read good things about you. If it’s any consolation – those who don’t read your newsletter will still feel good that you bothered to keep them updated about yourself. If you don’t believe me, ask yourself a simple question: who contacts you every month via email or post without trying to sell you anything? Only collection agencies – telephone, credit card, electricity companies. Clean-up your customer data, if you have not already. Get your staff to re-check the spellings of your customers’ names, cross-check titles, arrange the addresses in correct fields, etc. It is also a good idea to write or call your customers to re-validate key contact data like phone numbers and email IDs. You can tell them you are doing this to ensure you spell their names correctly and to stay in touch. This should please your customers. Thank your customers, at least once a year. I do this every year. Does it work? You bet! In fact, it often brings me new business and even lost customers. I remember we brought out a brochure containing 36 best campaigns to mark our third anniversary. The inside cover had the names of every executive, on the client side, we had interacted with over the past three years. We sent the brochure along with a thank-you note to each one of them. Result – we got four new projects from lapsed customers. The “thank yous” for remembering, arrived in dozens. The “I love you” strategy is so simple that it could almost sound naïve. But, it is something that really works, especially during an economic slough, when your customers would be getting a lot more attention from your competitors. Just keep in mind that there might be many rivals out there trying to woo your customer with the same strategy. And it is small consolation if your customers say no to them – like a jilted lover they will come back to woo them with double the determination! 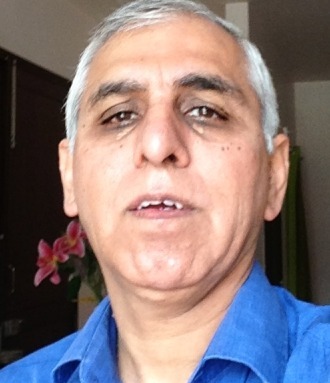 Raj Bhatia is founder and MD of Up Close & Personal (www.ucpdirect.com), a loyalty marketing and CRM consultancy firm. Previous Post Test matches are dead. Or, are they being killed? Majority of the marketers in India are interested in new ( customer) acquisition and rarely do they think about the existing customers. Caring for the existing customer or someone who once tried your product/service should be an organizational culture drilled strongly from top to bottom. More so in the case of Service industry. It is sad to see that though many of the organizations in India have top management with high focus on Customer retention and satisfaction, the front line staff who interacts with the customer never carries such a philosophy. Any effort to train the retail staff will also won’t yield considerable result due to high levels of attrition. Unless the retail work force in India become consumer focused and learn to “love the customer”, any relationship marketing strategy churned out in the board room will fall flat, irrespective of its solidness and intensity.